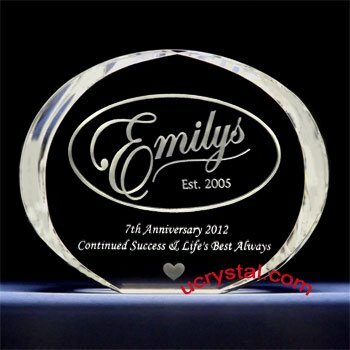 6" x 8-1/2" x 5/8"
The crystals in this page, both with and without attached crystal base, are suitable for fabricating engraved crystal plaques and awards. 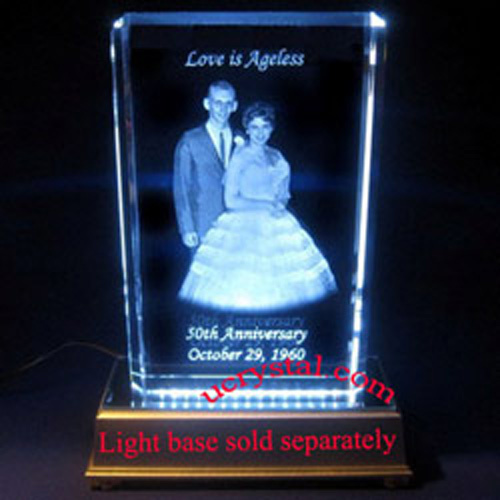 They can be used alone by themselves or combined with an LED light base (or light stand). 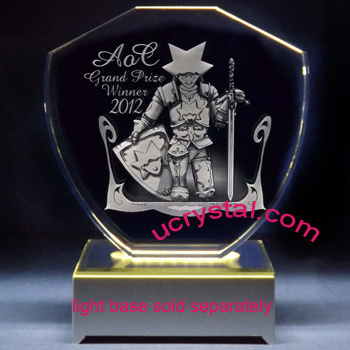 Since light bases are not part of the crystals, they are sold separately unless otherwise noted. 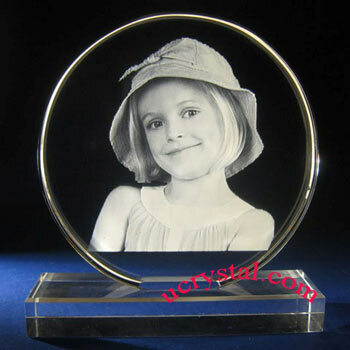 Laser engraved photo crystals are fabulous for use as corporate crystal plaques and awards. 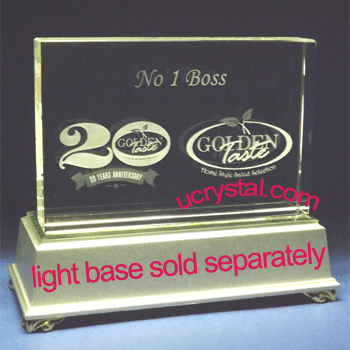 It is a great way to recognize your key employees, appreciate loyal customers, and acknowledge reliable suppliers. 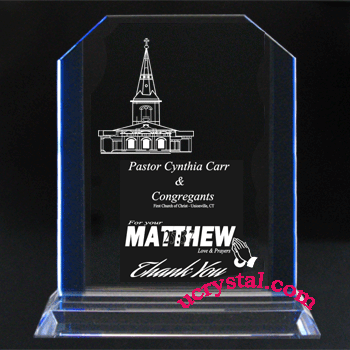 We can engrave your logo, photo, and text together inside the laser crystals. 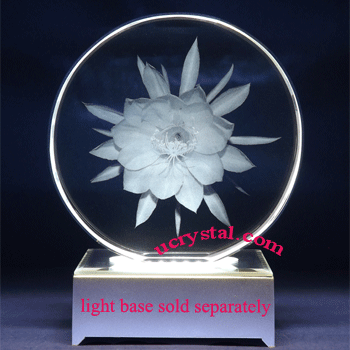 We can suggest layouts for you or do as you desire. 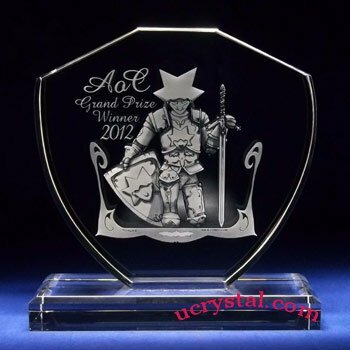 Just call or write to us with your requirements, and we will get back to you quickly. 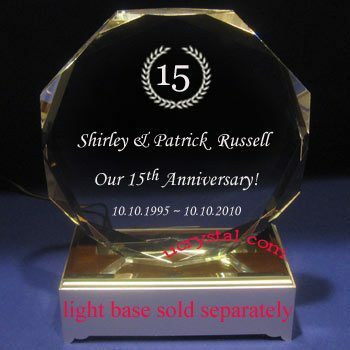 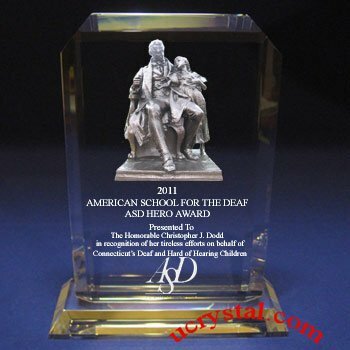 Laser crystal etching is an excellent way for fabricating engraved crystal plaques for patents awarded, etched crystal awards for projects accomplished, and corporate crystal keepsakes for grand opening giveaways. 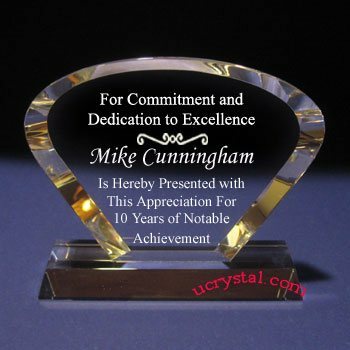 Other occasions include annual employee recognition, employee retirement, and guest lectures. 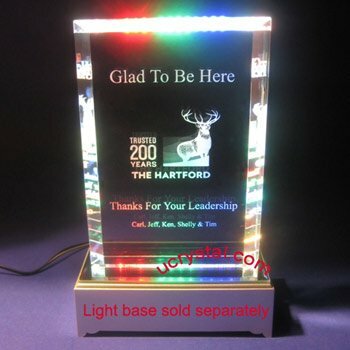 Through our diligence and quality workmanship, we have proudly many top-tier US companies and organizations, and hope to add your organization to the long list of satisfied corporate customers.